While NSW basked in unseasonably warm weather during the first week of August, the state’s golfers were making hay in the sun. The spring-like conditions were a welcome respite from a miserable winter and golfers flocked to the fairways with renewed gusto and some remarkable results. Golf Grinder received several reports of exceptional golf played during that brief golden week, including a mind-boggling albatross at Harrington Waters on the state’s mid coast. Club professional, Jeremy Ward, only started working at the club on July 18, but by Wednesday, August 3, he’d obviously mastered the course. On the par-five 14th, a tricky 447m hole, Jeremy smashed a driver 280 meters up the fairway before smacking a seven-iron into the cup for a course record on that hole. On the same day and a few hundred kilometers south, a couple of Sydney clubs were also reeling from some amazing coincidences. 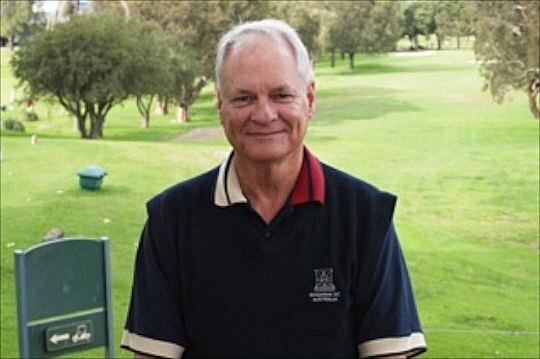 Kogarah’s general manager, Tony Rodgers, had just commented to a colleague that the club had not had a hole-in-one for a while when the drought broke, with not one but two aces … on the same hole. First in the cup was 19 handicapper, Richard Fellows, who sunk a nine-wood shot on the 145m, par-three fifth. Two hours later new member Iaon Braxton obviously figured this is what they do here at Kogarah, and mimicked the play with his own hole-out. Incredibly, Iaon was playing for a handicap! Rodgers said the club had decided to recognise Iaon’s hole-in-one and add his name to the honour board, despite not having a handicap. “He is a member. He was playing in the comp, and degree of difficulty was the same for him as everyone else, whether he has a handicap or not, so we want to acknowledge the achievement,” Rogers told Golfer Pacific. But the coincidences didn’t end there. Still on the same day, and a few more kms away, there was even more action taking place at Cumberland Golf Club. Eddy Gielarowski normally hits a seven-iron on the 153m 13th hole. In the heat of conversation he’d mistakenly pulled out his five-iron, which he didn’t realise until he’d made the 30m trek to the tee. Not bothering to go back to his bag, Eddy just choked down on his club and hit and hoped. The slope of a bunker obscures the pin on this green so Eddy had no idea that 13 was going to be his lucky number that day. His five-iron had holed out, and Eddy couldn’t wait to get back to the clubhouse to share the news and shout the bar. Imagine his surprise when he arrived to find fellow member Abe Awakian had beaten him to the punch, having made a hole-in-one two hours earlier on the very same hole! So that made four holes-in-one on just two holes, all within two hours of each other! Bring on the Spring sun. There is some golfing greatness coming out of hibernation.